Bud: You ever go to school stupid? Lou: Yeah, and I come out the same way. 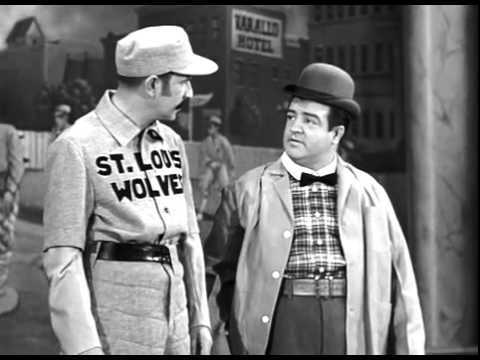 Abbot and Costello's classic "Who's on First" routine. Lou: I wanna ask you one just one thing. Bud: What? Lou: What makes a balloon go up? Bud: Hot air. Lou: What’s holding you down?